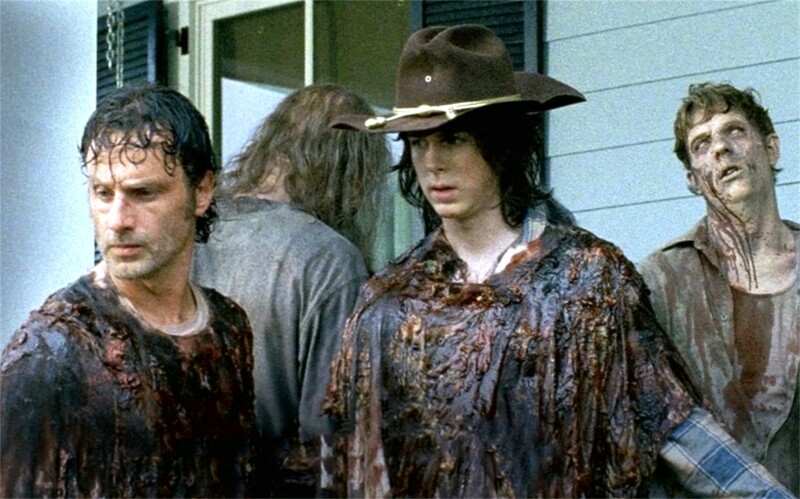 Major Spoiler For A Main Character From THE WALKING DEAD Within! We are just days away from the mid-season return of THE WALKING DEAD Season 6. The hype continues to build as the cast has been talking and hinting that things are going to get interesting. Let's face it, bad things are on the way and THE WALKING DEAD world as we know it is about to change forever. We have a major potential Spoiler for one certain main character. 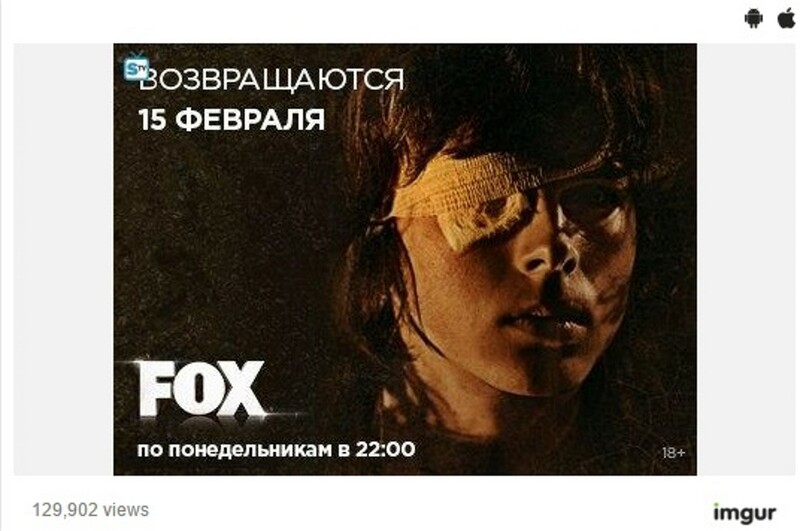 In what appears to be a new promotional photo from a Russian FOX affiliate, we see Carl Grimes wearing a bandage over his eye. In the comics, Carl is accidentally shot in the face by Douglas Monroe, who in the AMC television series has already died. 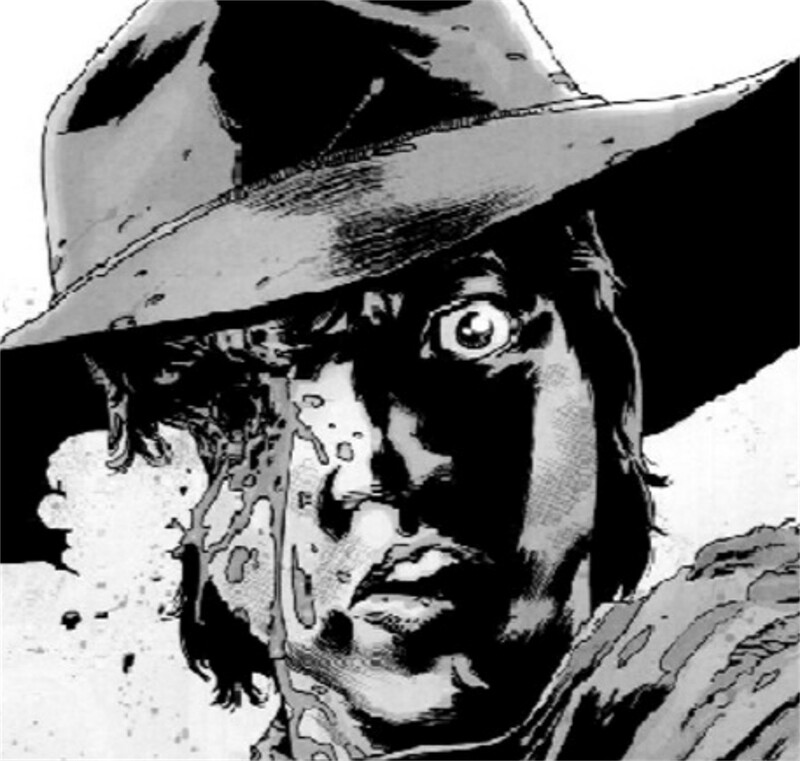 In the comic book, Carl survives this incident but he ends up losing his eye entirely. Then after some time passes, he begins to wear dark sunglasses. Season 6 of THE WALKING DEAD resumes Sunday February 14th on AMC.